The fidget spinner is a global phenomenon that has inspired thinkpieces about cultural anxiety, the changing retail landscape, and above all, whether or not it should be allowed in the classroom. Many teachers have embraced the toy as a tool for kids with attention problems but we have some bad news: They’re evolving. 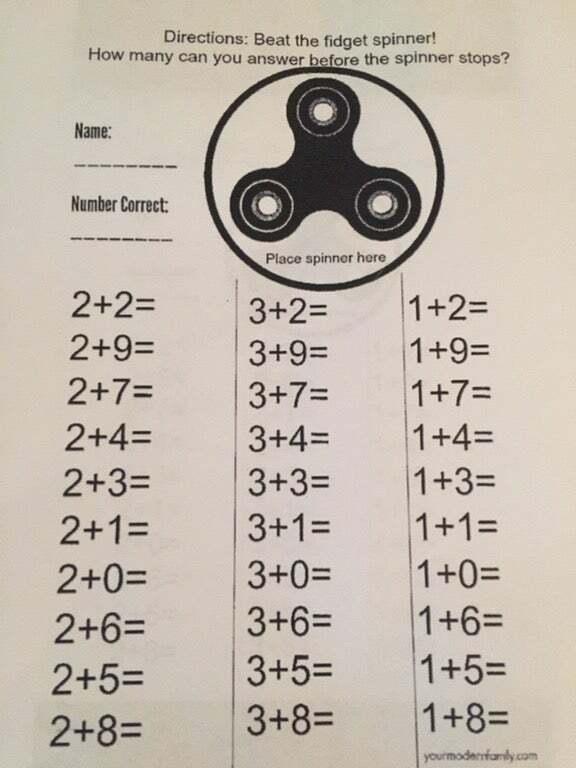 If the worksheet’s purpose is unclear, the kid is encouraged to place their fidget spinner at the top, give it a flick, and then complete as many arithmetic problems as possible before it stops spinning. But good things don’t last long in this world. We’ve seen fidget spinners that distractingly show Mario running, we’ve seen weaponised fidget spinners, and now we have the most distracting model of all: a spinner with programmable LEDs. Statistics blog FiveThirtyEight declared the spinner boom officially over, just yesterday. It seems safe to say this flashing, phone-connected, potential cheat machine is the final nail in the coffin.